Half Moon Cay is the most authentic, highest-rated private island experience. The exclusive property of Holland America Line, most of our 2,400-acre island is a nature preserve. Privileged guests enjoy miles of pristine white-sand beach and activities such as horseback riding in the surf, snorkeling, sailing, paddle boarding, kayaking, bicycling, a new children’s water park, private cabanas and villas, and more. Our newest ship, Nieuw Statendam, will spend her premiere season cruising the Caribbean, with itineraries from 3 to 10 days. Like her sister ship, Koningsdam, Nieuw Statendam reflects the spacious elegance, gracious service and classic style for which Holland America Line is known — while setting a new standard for 21st-century innovation and elegance. Our carefully crafted itineraries blend the region’s most popular ports with dozens of fascinating but less-visited gems, including Havana and Cienfuegos in Cuba. Itineraries from 3 to 21 days, in Southern, Western or Eastern Caribbean, even some including the Panama Canal. Culinary excellence expertly guided by our Culinary Council® of seven elite chefs. Exclusive onboard entertainment with Lincoln Center Stage, B.B. King’s Blues Club and Billboard Onboard. Plus America’s Test Kitchen live cooking shows and BBC Earth Experiences featuring Planet Earth II In Concert. Explorations Central™ (EXC™) – a new way of experiencing the destination, on ship and ashore. 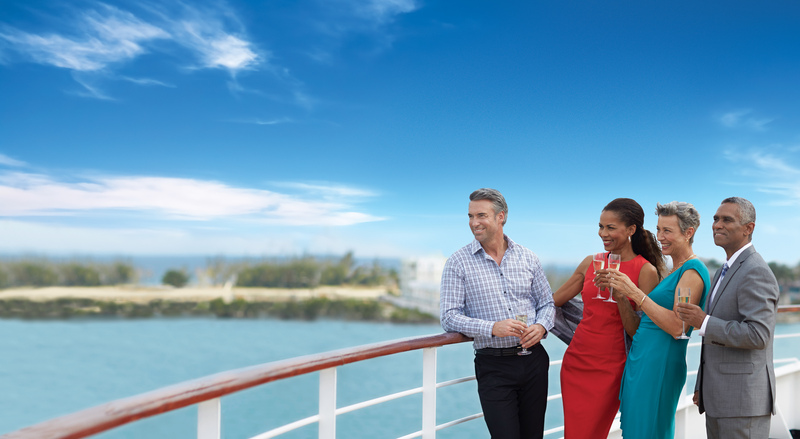 Above all – on every ship and everywhere we sail – guests tell us it’s the timeless elegance and gracious service that brings them back again and again. We’ve prepared consumer-facing tools for you to promote our Caribbean cruise.Book your clients aboard Holland America Line for endless opportunity for discovery to fascinating lands. All while they experience refined, world-class culinary options and activities to make for an unforgettable vacation.